These lovely early 20th century very elegant articulated drop earrings are for pierced ears. 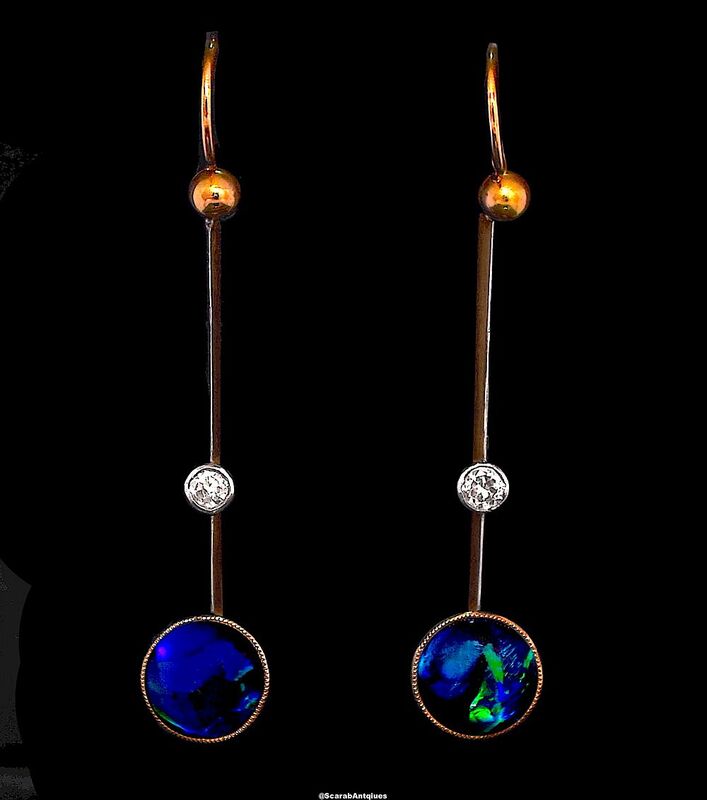 Each earring has a yellow gold shepherd hook fitting suspended from which is a silver fronted & yellow gold backed bar with a round diamond in a mille-grained rubover setting part way down. 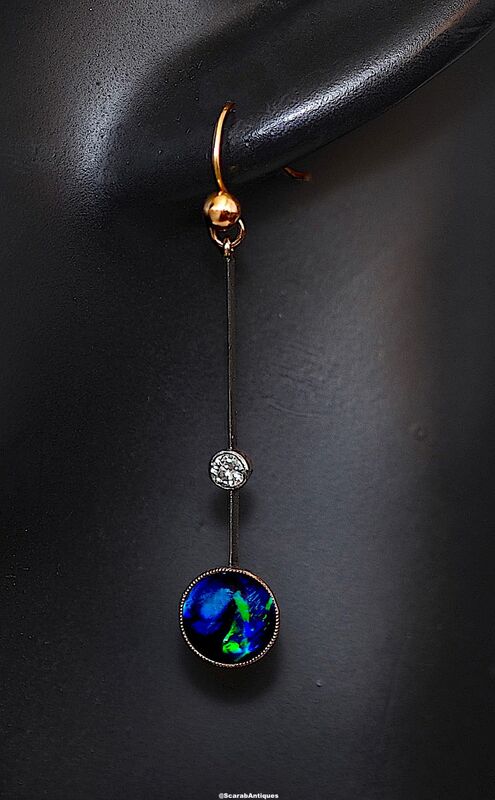 At the bottom of the bar is a blue/green cabochon cut opal set into a mille-grained yellow gold rubover setting.